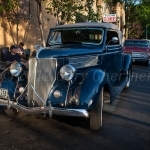 Trent’s beautuful auto was the first one I remember shooting at car shows when Forest Park started Cruise Night in 2009. 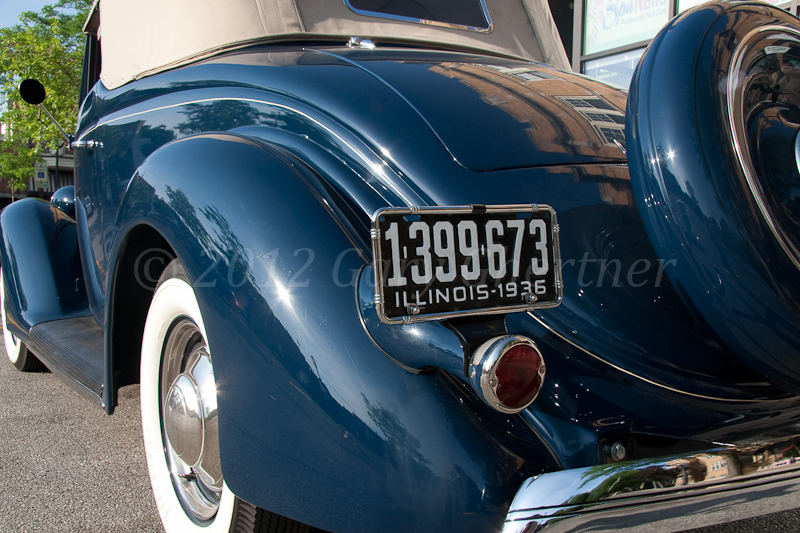 I see it most often and have over 100 photos of it. 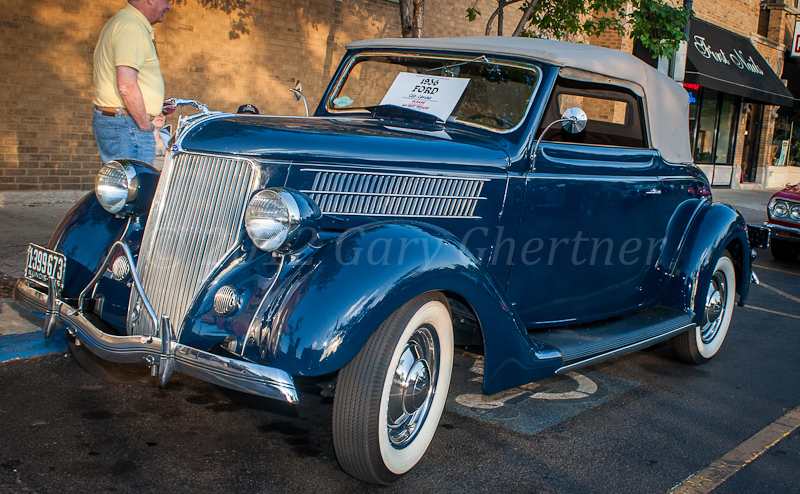 I’ve wanted to learn more about this car for a long time. 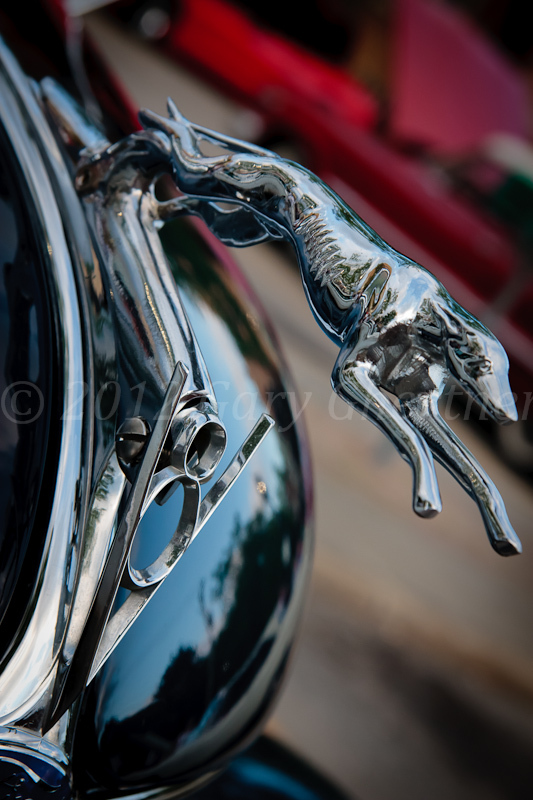 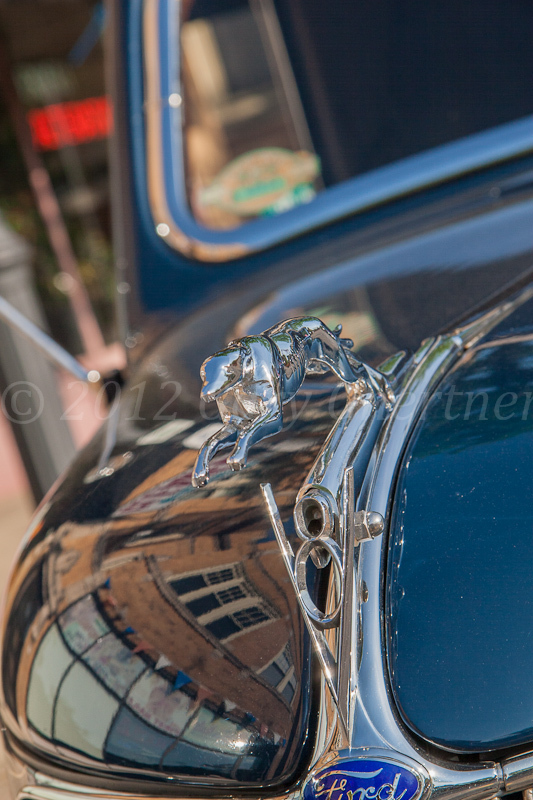 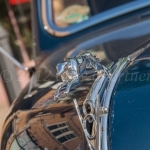 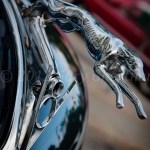 The greyhound hood ornament in the page header was a dealer installed option. 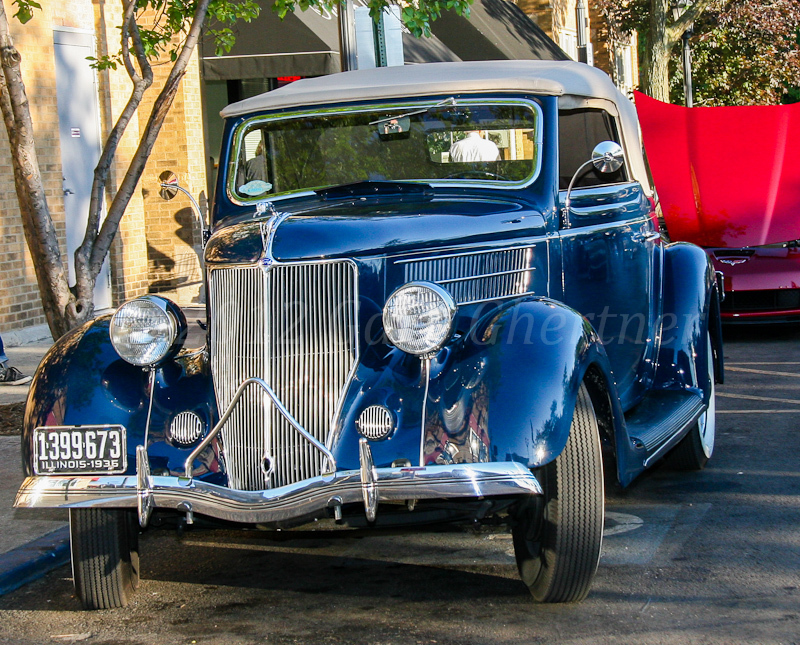 This Ford was restored in Canada after having spent “it’s life” in California. 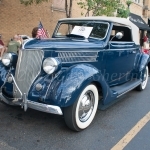 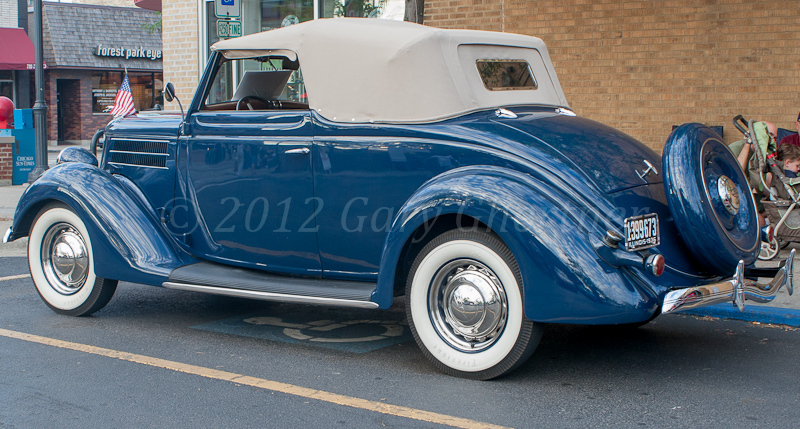 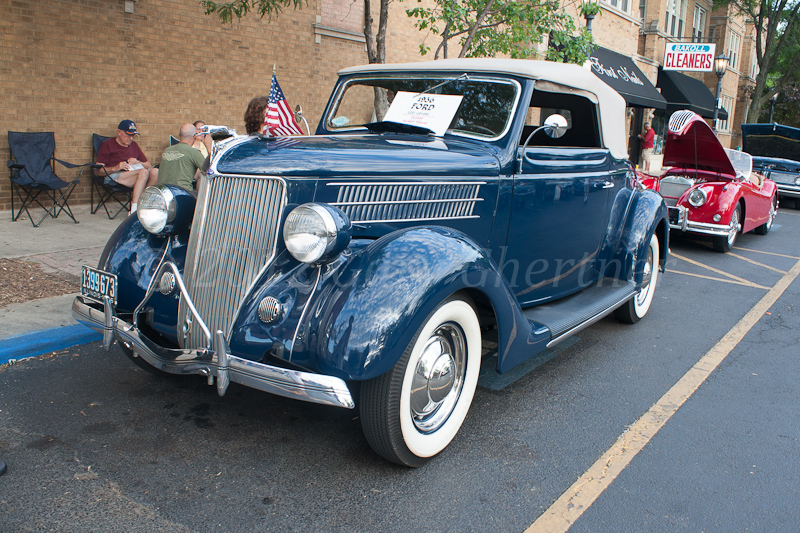 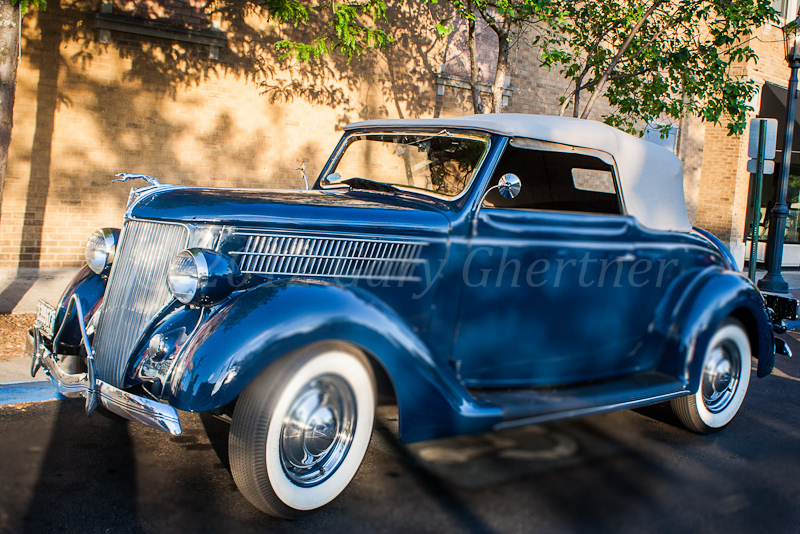 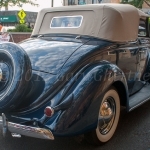 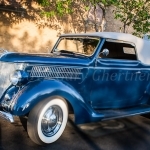 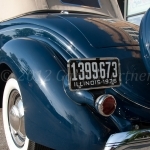 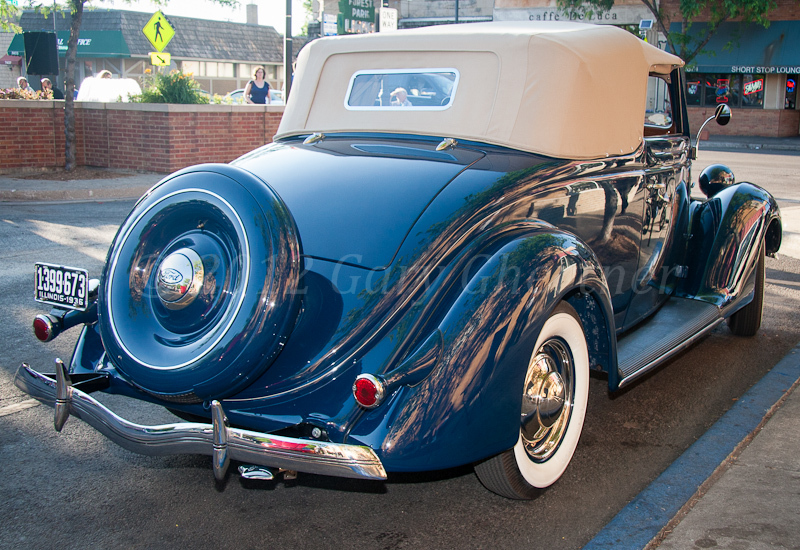 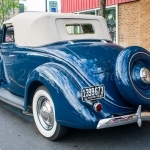 This rare Club Cabriolet was built after March 1936 and only 4400 of them were made. 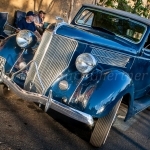 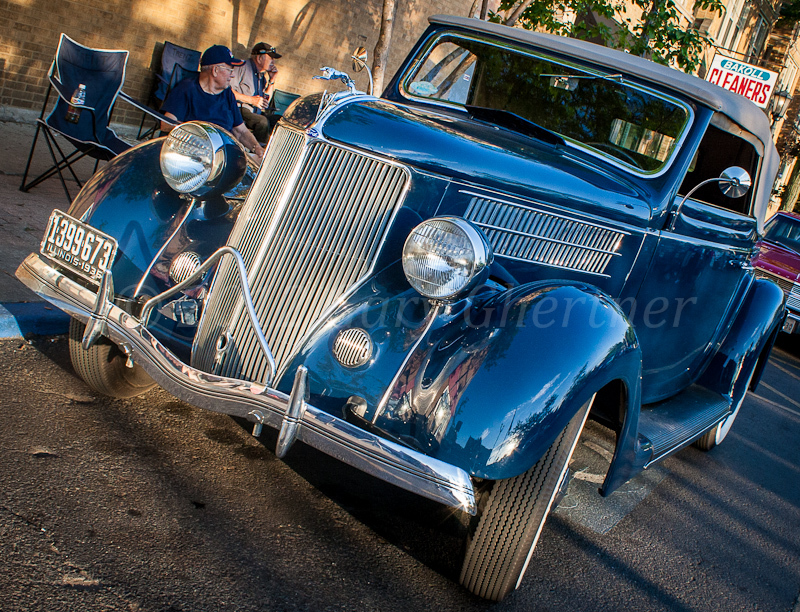 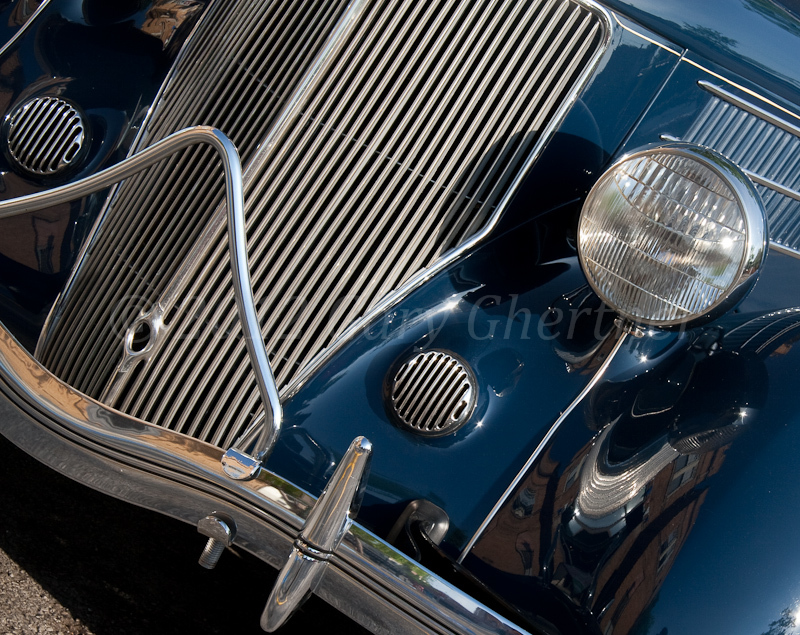 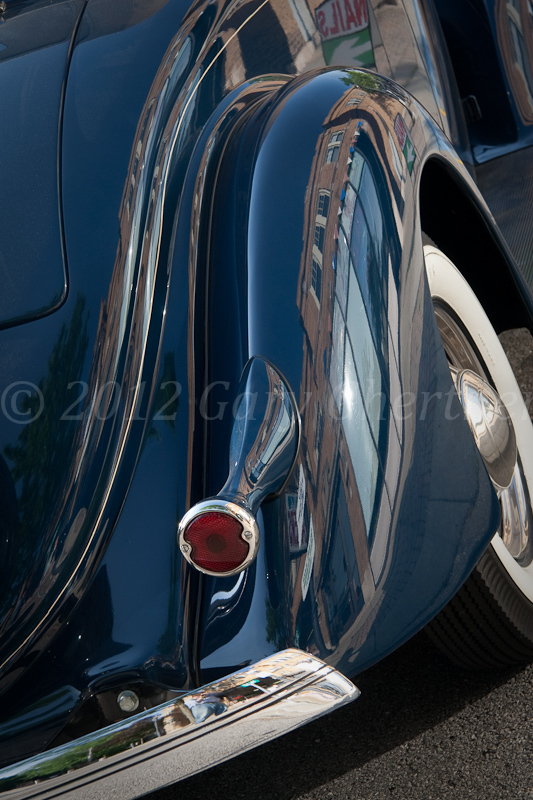 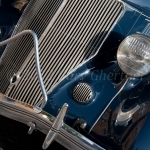 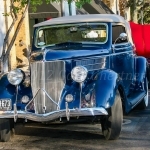 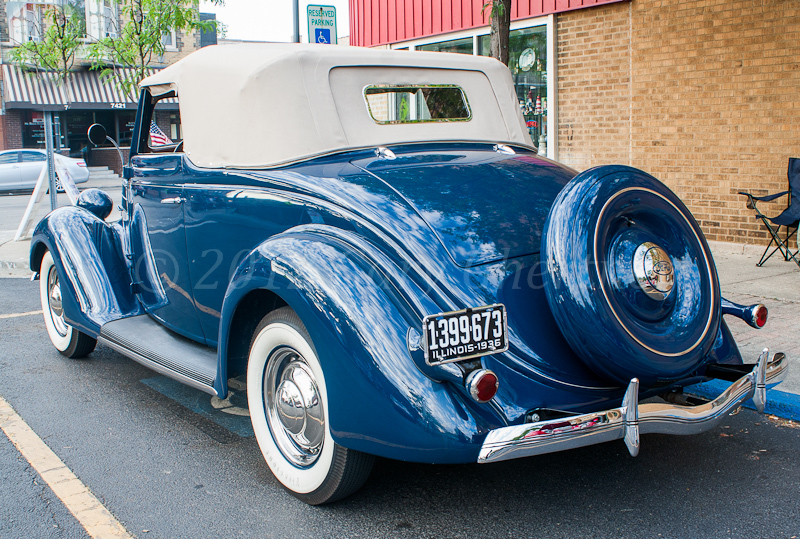 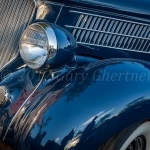 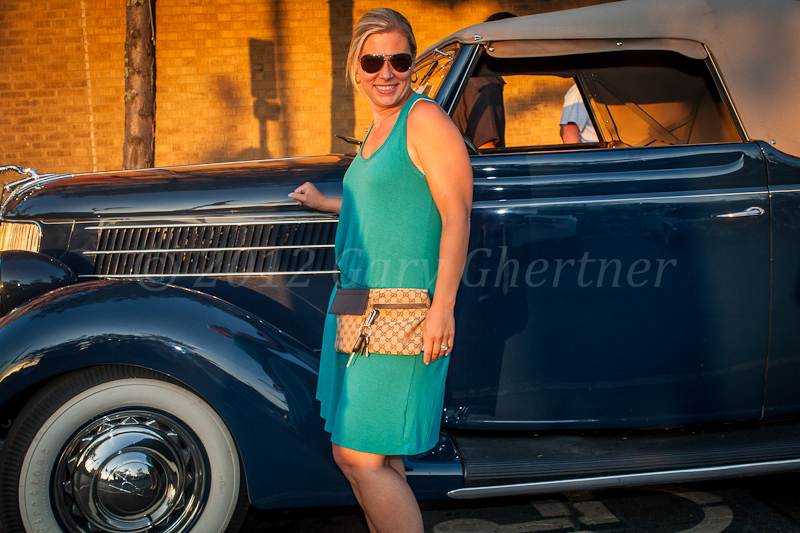 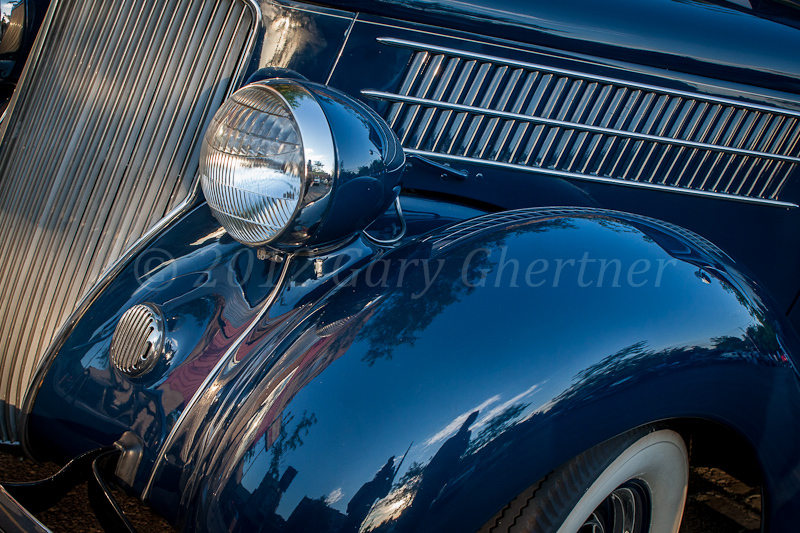 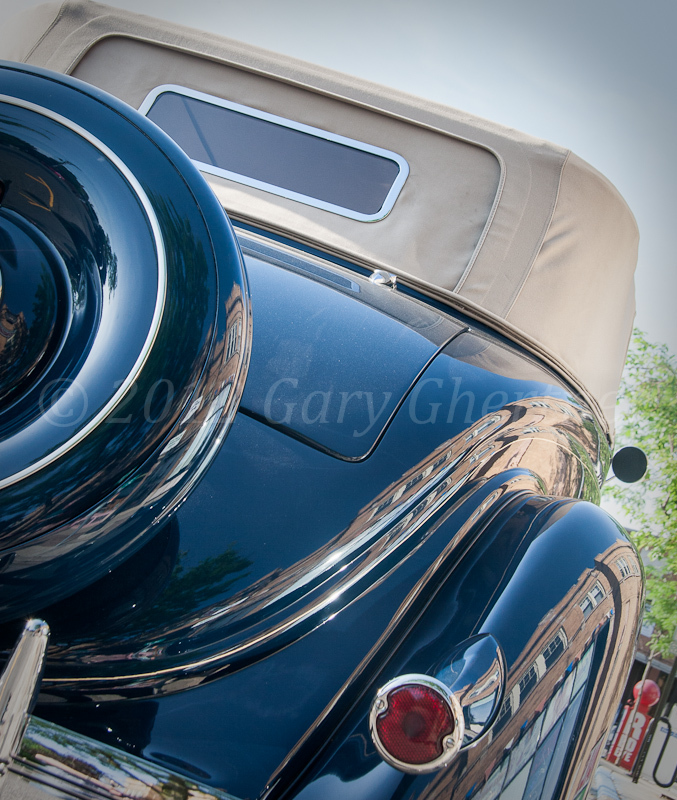 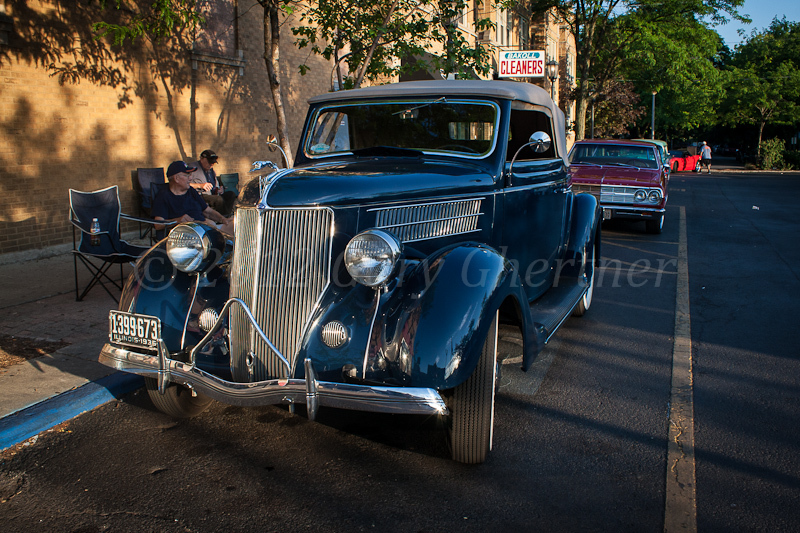 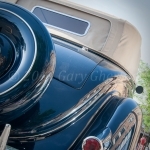 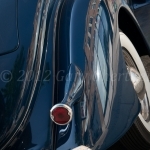 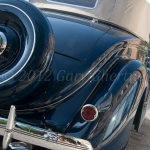 I was attracted to the elegant lines and sculptured look of this automobile. 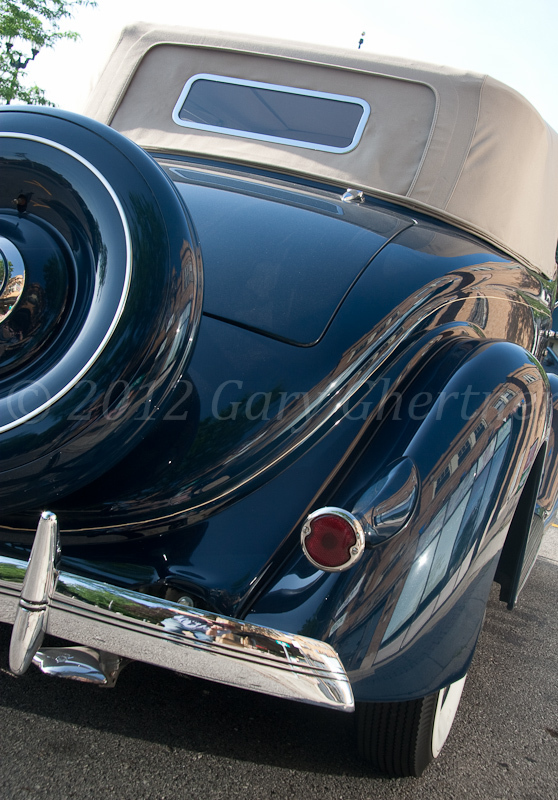 This car is much more than just”transportation’. 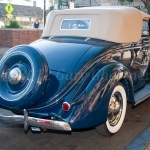 Trent bought the Club Cabriolet about Halloween in 2009. 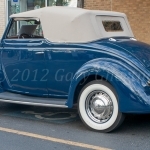 It still has a flat-head V-8 motor, 221 CI with 85 bhp. 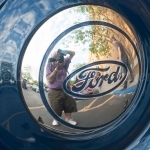 (in 1936, Ford sold it’s three millionth flat head V-8) The thee speed manual transmission is synchromesh in only the top two gears so it’s necessary to double clutch if downshifting to first while moving. 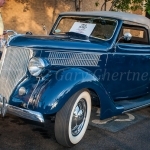 It has mechanical brakes and only a wimpy 6 volt electrical system, which results in inadequate headlight illumination. 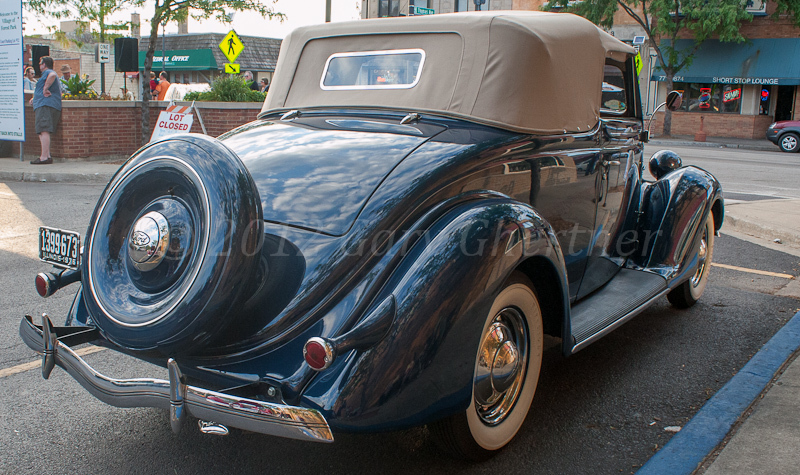 The wheels are ‘spider wheels’ with 6 lug bolts and require a special apparatus he had to have made for routine wheel balancing. 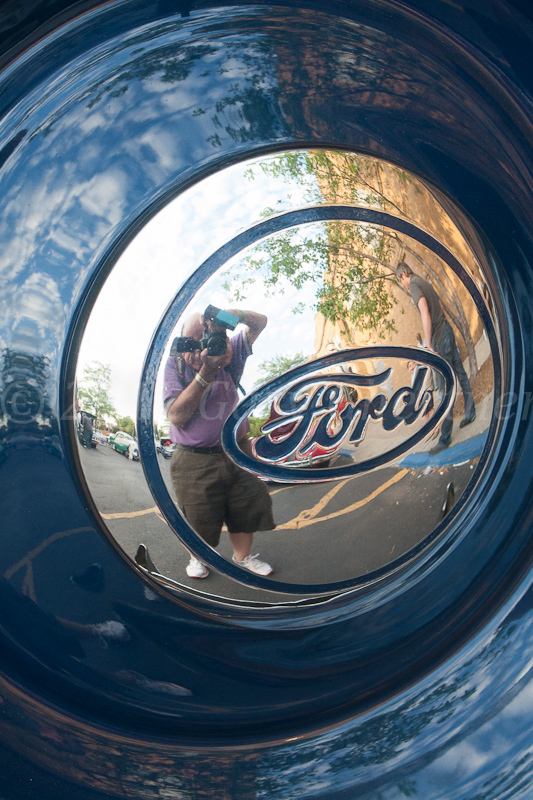 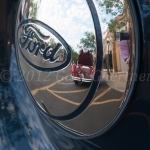 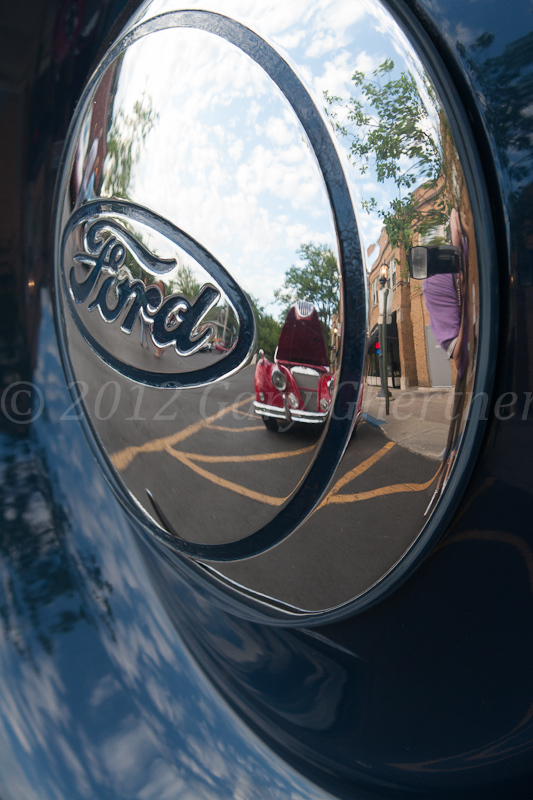 The style of this car’s hubcaps enable me to shoot self portraits in reflection; now you’ll be able to recognize me at a show.